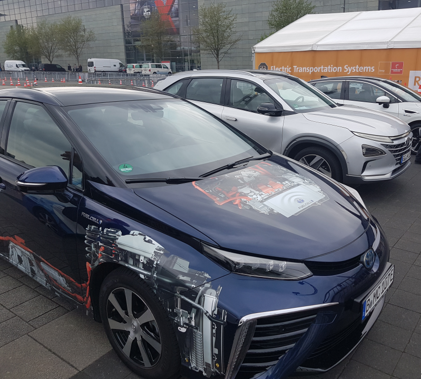 On April 24, 2018, I tested three fuel cell-electric vehicles (FCEV). Honda, Hyundai and Toyota. I focus more on the handling and overall impression, less on the technical specifications. In 2013, I was looking for an FCEV to base my calculations on when I wrote a paper on a solar house that could produce hydrogen to refuel the FCEV. So, I began with the Hyundai ix35/Tucson FCEV. Which FCEV should I drive? 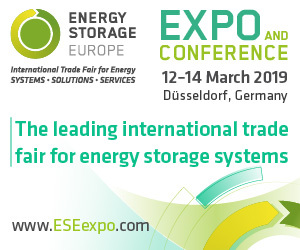 At Hannover Messe, several pure battery-electric and fuel cell-electric vehicles were on display and available for trials on the open-air fairground (FG). I grabbed the opportunity and tested three FCEVs in one day. Hooray! 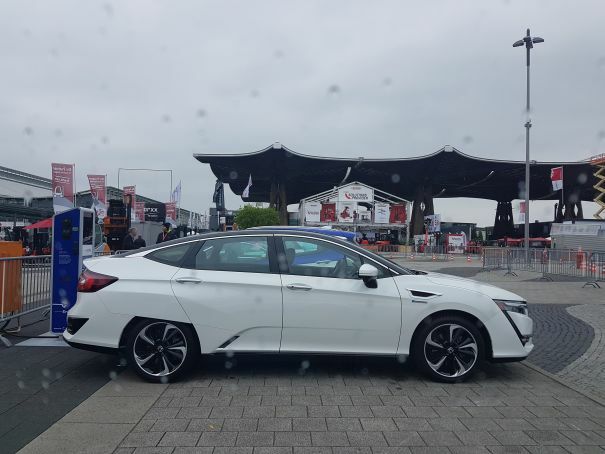 Honda, Hyundai and Toyota offer new solutions combining hydrogen and fuel cell technology and electric mobility. They serve different profiles. 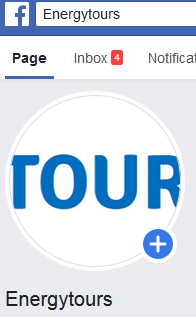 As for my profile, I like to drive 600 miles carbon free and share my impressions on the ENERGYTOURS.eu website; in case anyone is interested. My criteria were functionality, comfort, view and safety. So far I have driven more than 10,000 miles in the Hyundai ix35 FCEV. Now it was the right time for the Hyundai Nexo. 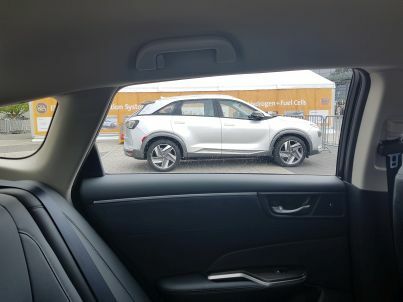 The Nexo features three hydrogen tanks, while the ix35/Tucson has got two. The Nexo has two batteries, while the previous model has got one. The advantage is that the range has been increased and that there is a backup when one battery is empty. Taking a look around the vehicle at first, I noticed that the mirrors had cameras. When reversing, the image is transmitted to the dashboard. Behind the steering wheel, I am sitting lower in the Nexo than the Tucson. The new cockpit counts a dozen more buttons. It has become more of a crossover than an SUV, and the trunk has grown in volume. The handling feels lighter and more agile. 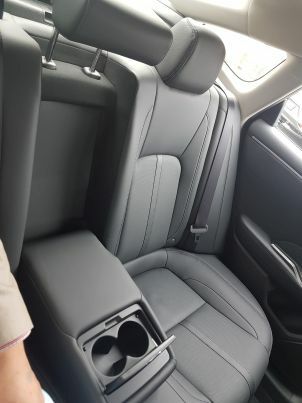 The back seats are now more ergonomic. Brakes are even more responsive than before and interestingly less abrupt. When driving the curves, the car remains stable and does not seem to bank. Between the old and the new so many innovations have been included, and it seems as if the FCEV has been completely reinvented. 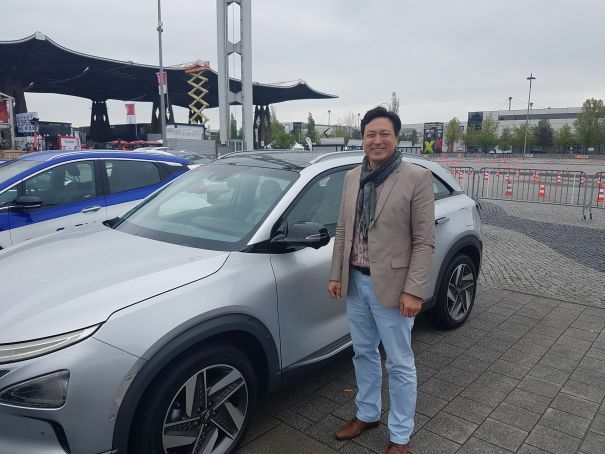 Overall impression of the Nexo: SMART! The predecessor, Honda Clarity FCX, was very spacious, and it was comfortable to drive. The new Honda Clarity Fuel Cell, also known as Honda Clarity FCV, is no less. 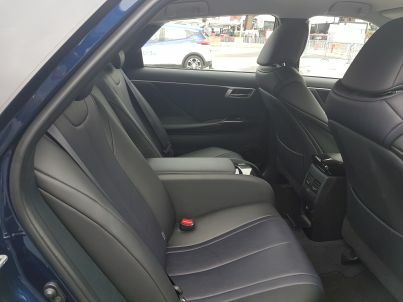 Dark leather seats with fine finishing and an absolute minimum of buttons and functions add to the relaxing ambience. The impression is different from the Nexo in the sense that it is a saloon. Curves are hardly noticeable as the vehicle remains solid on the road. The brakes are subtle and the Honda keeps its control. 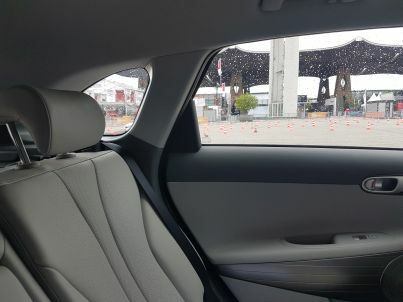 The exterior of the FCV looks more futuristic than the FCX, but interestingly the interior is still timeless, even though it is completely different from before. 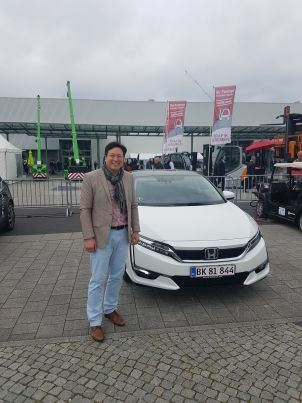 Honda has managed to make the new FCV even more convincing, and it is an even greater joy to drive than the previous FCX. Overall impression of the Clarity: RELAXING! 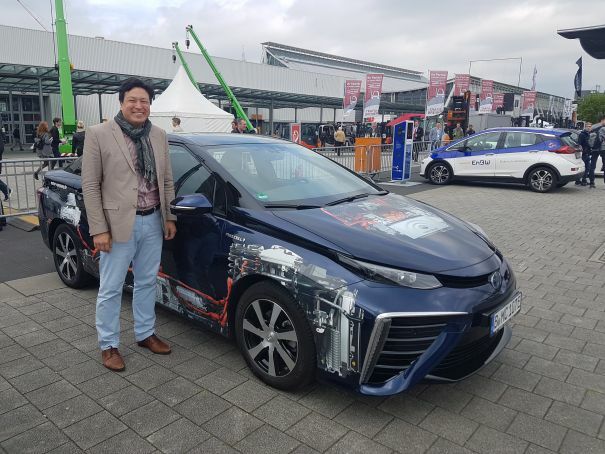 The exterior of the Mirai is similar to that of the current Prius in the Plug-In Hybrid version, particularly the huge air inlets located in the front bumper, left and right, accentuated with angular chromium bars. Also, the gear shift is the same as in the Prius. The resemblance of the models shows the strong Family character between the brands. Sitting inside the Mirai is different from the Prius as it seems that I have an even thicker shell around me. In the curves I felt the full weight of the vehicle, also when I was accelerating and braking. The design of the dashboard and cockpit appears like a futuristic concept having become reality. Overall impression of the Mirai: SPACESHIP! 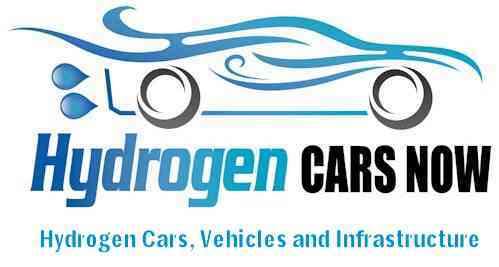 Why put fuel cells into cars? Why not? Ever since 1839, not much happened until during the second half of the last Century. 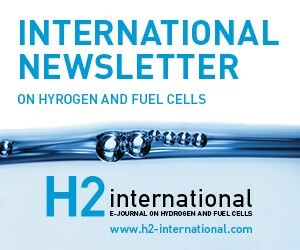 Today, fuel cells of various sizes are used in stationery, mobile and marine applications. The possibilities are many. Virtually any primary energy source, also the green ones as well as waste, can be used to produce hydrogen. 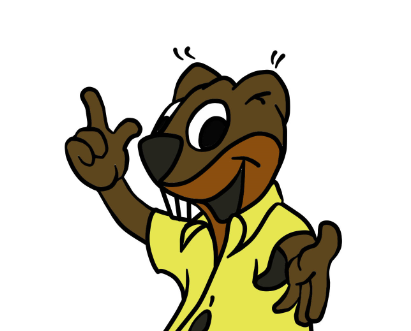 It is a fact that energy needs to be put in first, to make energy storable (in the form of hydrogen). 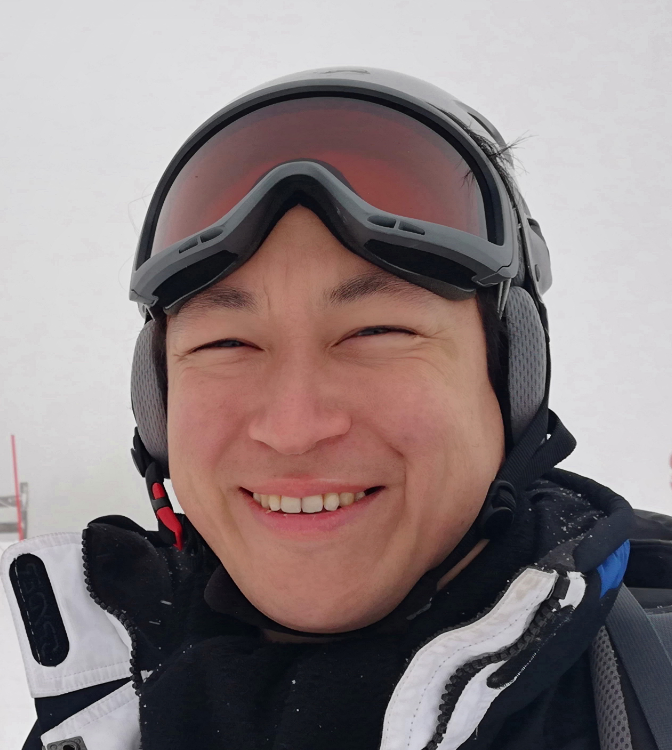 But, analysing how many energy services, such as power, heat and mobility, can be supplied, from a single source, is where the careful calculation begins. Energy can be reduced, carbon avoided and (in the long-term) maybe also money saved. 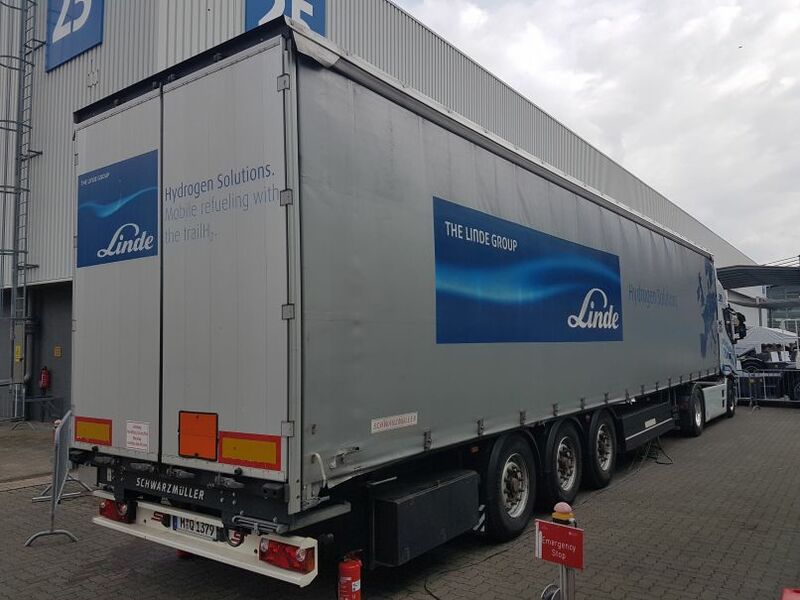 During the five days of exhibition at Hannover Messe, from April 23 to 27, 2018, the FCEVs refuel hydrogen at a mobile hydrogen refuelling station based on the back of a truck, operated by the company Linde. In a Linde corporate article from 2012 this mobile hydrogen station mounted on the truck is referred to “trailH2gas”. The three automakers seem to each pursue different strategies. Hyundai based the previous FCEV on a regular combustion engine model, while the current FCEV is a model completely of its own. The Hyundai Ioniq and Hyundai Kona are electric vehicles/hybrid/plug-in hybrid vehicles that offer a different solution than the Hyundai Nexo. Honda, in the previous case, had a standalone fuel cell-electric vehicle. The successor features three variants: Honda Clarity Electric, Honda Clarity Plug-in Hybrid and Honda Clarity Fuel Cell. The latter is also called Honda Clarity FCV, as opposed to its predecessor, the Honda Clarity FCX. Toyota achieved a separate model when introducing the Mirai, but optically kept it close to the second generation-Toyota Prius Plug-in Hybrid PHV/Prius Prime Plug-in Hybrid. The other Prius variant, Prius Hybrid, has slightly different optical features, looking less like the Mirai. These three automakers each have an electric solution, a hybrid solution and a fuel cell solution. Notice: for any incorrectness or error, please feel free to get in touch. It is more higer perfomance than previous model, but the price is cheap through cost reduction. You can use additianal options such as RSPA. Thank you for good posting.